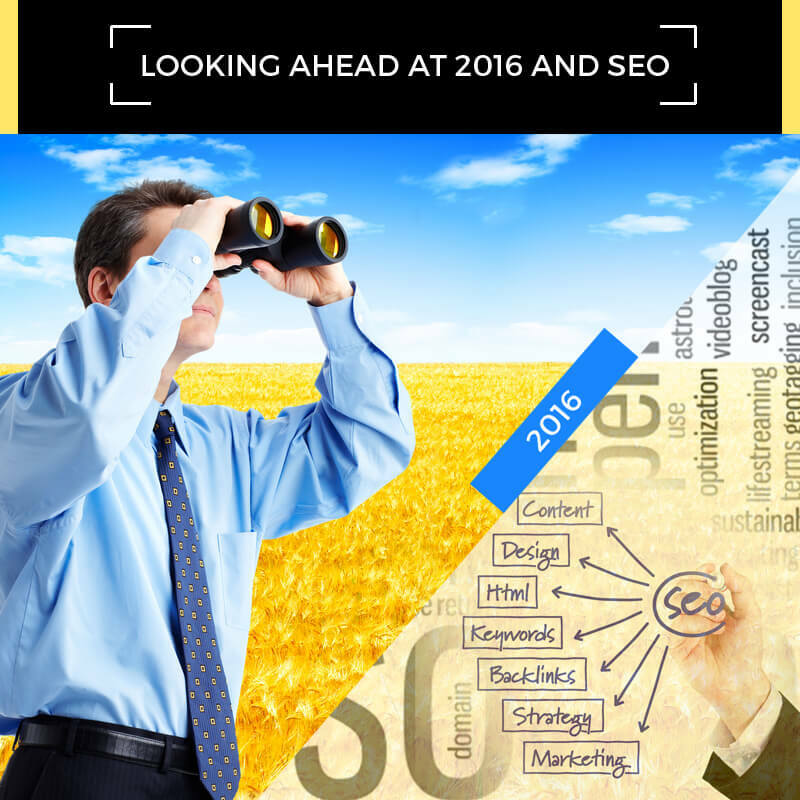 There’s no telling what will happen in 2016 regarding SEO. There are so many arbitrary factors involved that the only thing SEO pros and marketers can do is rely on what’s proven to be successful and what the latest strategies and technologies that the search engines use. Picking apart what will work depends on knowing the past, knowing the present, and gambling on the future. Some things we know will be on the horizon and we can work on now. The past year alone has shown that Google is not playing around when it comes to their algorithms as they’re looking to get two things done. One is to provide top search results to the surfers that are relevant and spam and scam free, and two, to maximize their advertising investment dollar. Their advertisers are relying on Google’s ability to provide the greatest value and that means changes in SEO that might just call for a change in every SEO expert‘s plans. In the meantime, keep focused on doing the standard things. You’ll be able to tell via your stats what is working and what isn’t. Then, if a change occurs, no matter how small, you’ll be able to backtrack it and hopefully get an idea of what kind of change occurred and why. You’ll still need to analyze your analytics to see which keywords and phrases are generated traffic and what kind of traffic. Whatever works, build more content based on them. It means when people put those keywords in, they’re heading to your site so you might as well capitalize on it. What may surprise you is that Google reportedly likes the longer word count. We’re talking over 1,100 words but less than 1,500. They may like more but you’ll have to test the waters here to see. This means more work, double that for most content writers and it will mean skillful, relevant content instead of spammy, word crammed content. Google is getting wise to tricks and is obviously gearing up software that will put an end to sloppy and contrived content in favor of real, relevant data that the surfer can use and interact with dynamically. Meta tags and internal links are showing to still be essential. Don’t slop over them nor misuses them. The top ranking pages have them and make sure your top keywords are in the meta tag and internal link titles. Using H1 tags is noticeably a safeguard and benefit as well. Do not forget nor underestimate mobile. Being mobile friendly is so essential, it cannot be understated. Mobile is the way of the future and there’s no turning back. If your site isn’t mobile friendly, you should just pack up your cares and woes and get out of the game. Not only is mobile the way to go, at this pace, it may be the standard, totally replacing desktops and laptops. Google has tools for webmasters who want to make their sites more mobile friendly. Take advantage of social media but to it the right way. No spamming people’s Facebook pages or even buying expensive Facebook ads. Both can get you into serious trouble from the start and getting a bad rep on Facebook can mean a lot of lost time and revenue. Social networking, however, can be the biggest bounty if things go right. Something going viral with your website’s name on it can make you a millionaire overnight. Some people claim to know the right formula for making things go viral and even sell services to do so. Don’t even fall for them nor link to them. It’s bad news. Finally, link building will still be effective, but you had better get inbound links from sites with authority and great repute or you’ll get walked over by Google as they’re very hip to all the link building scams out there. Remember, relevant, useful links or you’ll be in for a lot of trouble. The bottom line is that SEO in 2016 is going to show just what power the search engines have. Their software will be tweaked and re-tweaked to accommodate the surfers and their advertisers so focusing on those two audiences will get you where you need to go.